Guided skiing all day means you get the most out of every run with skiers of the same ability. Our goal as guides is to make sure you are in the right place at the right time and to get you to the best snow conditions, best aspects, and best light for the time of day. Each day is unique and we encourage you to enjoy your vacation the way you want to. We are there to ski, laugh, have fun, and share our passion for skiing with you. Welcome to your summer skiing resort- Portillo is the place to be! Portillo is like a private ski resort. There is only one hotel with 400 beds. When you go to Portillo for a week of skiing, it’s just you, the other guests, and a staff of 400. With over 2,000 acres of diverse terrain and very little grooming, it’s a skier’s paradise. 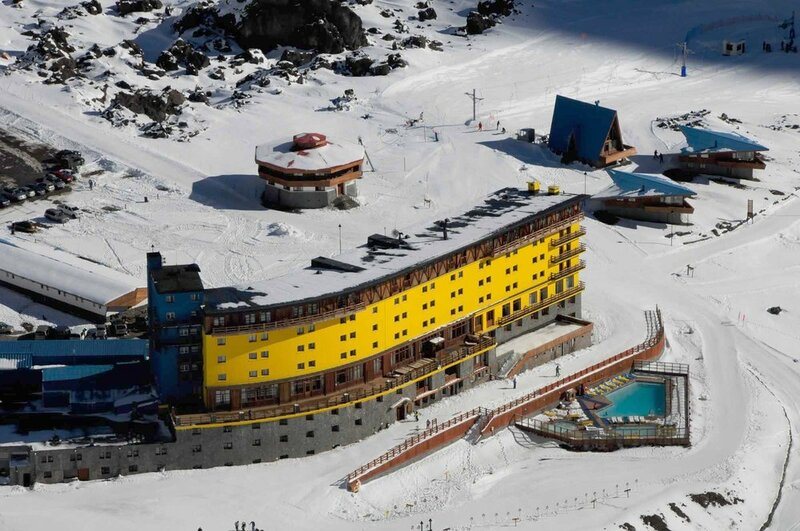 We have skied other resorts in South America and keep going back to Portillo because, in our opinion, it’s the best! This will be Kim's thirteenth season heading to Chile and she won't stop coming back any time soon. Nothing quite like skiing in the summer time and heading home with a goggle tan. The skiing, the owners, the staff, the views, the mountain glow, the food, the laughter and the friends will have you coming back year after year. Everyone goes home with new friends after a week in Portillo. Socializing is a big part of the Chilean culture. In the afternoons we’re indulged with lunch at Tio Bob's, one of the best on-mountain restaurants in the world. Blue skies and afternoon sun warm up the lunch crowd, while other skiers lap the Lake Run, keeping those who are spectating entertained. In the evening, we share dinner with new friends over delicious food and pisco sours. ROUND TRIP AIRPORT TRAnsfers from/to santiago. 6 guests with Kim as your guide and host.